This signature event brings a nationally recognized writer to the Denver community for two days of author-led activities. Inside the Writer’s Studio offers a peek inside the author’s life through an on-stage reading and interview. A craft seminar the next morning is a very special opportunity to learn more about the writing process from a master. 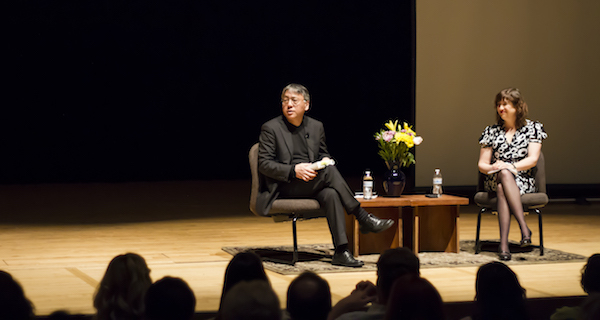 Kazuo Ishiguro is the author of seven novels and his work has been translated into over 40 languages. The Remains of the Day and Never Let Me Go have also been adapted into major films. His latest novel, The Buried Giant, came out early March 2015. Erika Krouse’s collection of short stories, Come Up and See Me Sometime, won the Paterson Fiction Award and was chosen as a New York Times Notable Book of the year. Her new novel, Contenders, was published in March 2015, and will also be published in Germany by Aufbau-Verlag.